In honor of the United State’s twentieth-anniversary publishing of Harry Potter, I will be sharing a book list once a month to highlight books tweens should read based on their Harry Potter House. In April, I highlighted books every Slytherin should read and this month I will be highlighting books every Gryffindor should read. Unlike Slytherin, Gryffindors have always had a great reputation. Harry, Hermione, and Ron are all in this house. Need I say more? Gryffindors are known to be courageous, honest, and brave. They are daring and tend to root for the underdog who bravely does what they need to do. People in this house tend to enjoy reading books with characters who have the same qualities and usually enjoy plot-driven page-turners that center around the hero’s tale or survival stories. They tend to gravitate toward books that are a series so they can watch the character grow and develop from underdog to hero. Here are a few of my favorite middle-grade books for Gryffindors. Kendra and her brother Seth are spending the summer with their grandparents. 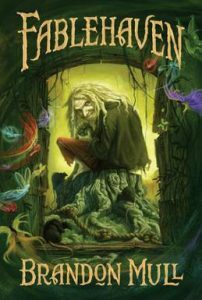 What they think will be a boring predictable summer quickly changes when they find out that their grandparents are the current caretakers of a hidden sanctuary for mythical creatures known as Fablehaven. Curiosity soon gets the best of Seth and he unleashes something evil into the world. 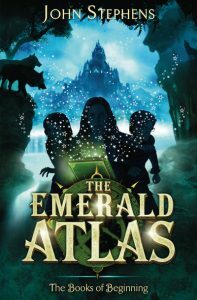 Both Kendra and Seth must find the courage to face their fears to save both Fablehaven and the world. Why Gryffindors will like it: The characters Kendra and Seth are a little hard to love at the beginning of the book. Gryffindors will love to watch Kendra learn to be brave and Seth learns to be honest and courageous. Morrigan Crow is cursed and is destined to die at midnight on her eleventh birthday. As midnight approaches, Morrigan awaits her fate. 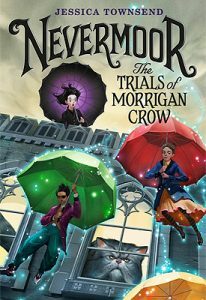 While she is waiting, a mysterious man named Jupiter North whisks her away and takes her to a magical city called Nevermoor. Morrigan thinks she is saved, but in order to stay in the kingdom and live, she must join an elite organization known as the Wondrous society. This requires Morrigan to compete against hundreds of other children with magical abilities in four dangerous trials. With no known special powers, Morrigan must survive the trials or be doomed to her cursed death. Why Gryffindors will like it: The character courageously faces death and bravely endures the trials for a chance of life. 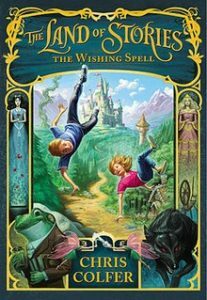 This magical story will make Gryffindors and Harry Potter fans alike cheer and anxiously anticipate the next book release in this series. Twin siblings Alex and Conner are at their lowest point. Their father just died and they are not looking forward to celebrating their twelfth birthday without him. But this will be a birthday they will never forget. The two fall into their grandmother’s book of fairy tales. Living in a world full of characters from their favorite stories might sound like a dream come true, but all the twins want to do is go home. The only way the duo can go home is by traveling across this enchanted world to collect eight magical objects to create a spell to go home. Why Gryffindors will like it: The twins Alex and Conner are facing a lot of challenges. Not only did they recently lose their dad, but now they are caught in a new realm where they must journey into the unknown to find a way home. This series has all the elements that Gryffindor’s crave. Its characters are courageous and funny and they go through a lot of growth to return home and accept the loss of their dad. Twelve-year-old Sophie has always been different. She is telepathic and is constantly burdened by the thoughts of others around her. She didn’t think she would ever meet anyone like herself until she meets a boy named Fitz. When the two meet, Fitz hurdles Sophie into a fantasy world where she learns that she is an elf. Now Sophie must leave her human family and go to an elite elf school to learn how to use her elf powers to save the world. Why Gryffindors will like it: Reminiscent of the book series Harry Potter, Gryffindors will feel like they are reliving Harry’s journey once again. Sophie is a brave heroine who is leaving everything behind to learn more about her true self and save the world from evil. Twelve-year-old Addison enjoys learning about history and archaeology from his aunt and uncle. 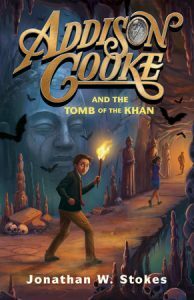 When his aunt and uncle are kidnapped, it is up to Addison to save both the Incas treasure and his family. Filled with friendship and bravery this book will have Gryffindors staying up well into the night to finish every last page. Why Gryffindors will like it: Gryffindor fans will adore this Indiana Jones-like book. Addison is a brave and caring character who will risk it all to save his family and friends. Three orphans named Kate, Michael, and Emma are moved from orphanage to orphanage. When they arrive at a new place known as Cambridge Falls, the siblings don’t expect to be there long, but this place seems to be different then the places they have been before. There are no children. 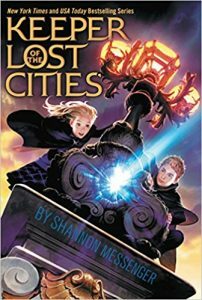 When the siblings venture into the basement and discover a book that takes them back into a time of magic, they are tasked not only with saving the world but maybe saving their parents too. Why Gryffindors will like it: Readers will love reading about the siblings epic quest to find their parents. Not only are they brave but the siblings are friends too. Their friendship helps them to courageously take on tasks that genuinely frighten them and helps them grow and develop throughout the series. Need more book ideas for a display? Readers might also enjoy: Refugee by Alan Gratz, The War that Saved My Life by Kimberly Brubaker Bradley, Aru Shah and the End of Time by Roshani Chokshi, The Goldfish Boy by Lisa Thompson, Auma’s Long Run by Eucabeth A. Odhiambo, The Mad Wolf’s Daughter by Diane Magras, Front Desk by Kelly Yang, and The Lost Books: The Scroll of Kings by Sarah Prineas. Teen readers might enjoy: The Initiation by Chris Babu, The Lunar Chronicles series by Marissa Meyer, The Illuminae Files Series by Amie Kaufman & Jay Kristoff, The Hate U Give by Angie Thomas, Salt to Sea by Ruta Sepetys, Warcross by Marie Lu, Simon vs. the Homo Sapiens Agenda by Becky Albertalli, and The Hobbit by J.R.R. Tolkien. Did I miss any? Be on the lookout next month for books every Ravenclaw should read. Are you goign to do printables for the Gryffindor and Ravenclaw lists? I’d love to display these at our upcoming Harry Potter party!